I'm all finished baking for Valentine's Day! One problem, I am completely out of dog treats and don't have anything left for my Valentine, Katie. The only ingredients remaining are Crunchy Peanut Butter, Honey, Coconut, Coconut Oil, and Mint. Perfect ingredients for little bon bons for my little bestie beastie. 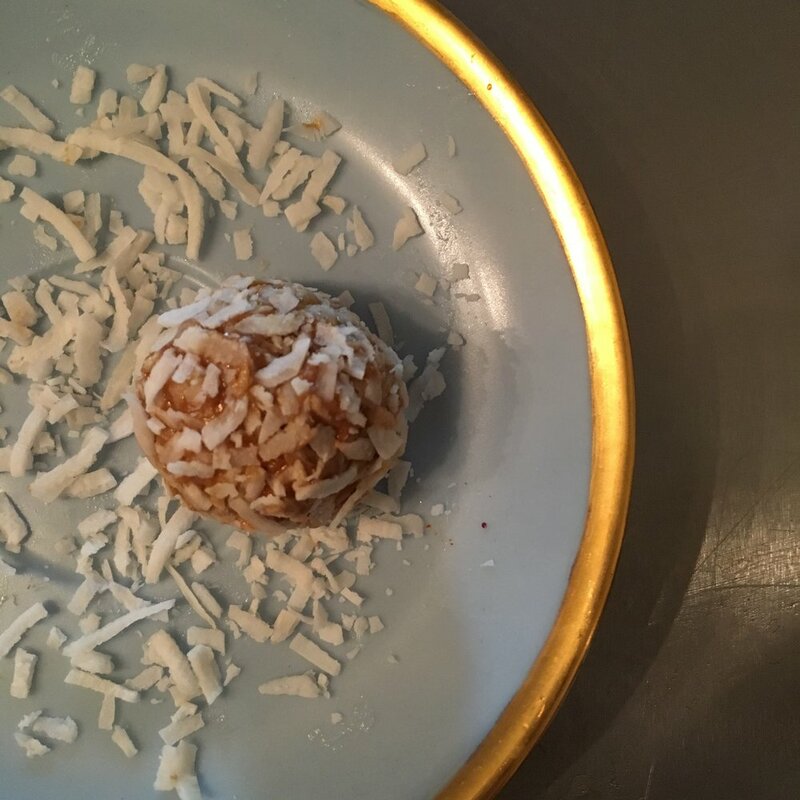 TO MAKE COCONUT PEANUT BUTTER BON BONS for your bestie mix a 1/2 cup of all natural (no salt added) peanut butter, 2 tablespoons of honey, and 2 tablespoons of natural unsweetened coconut flakes in a small bowl. Once mixed, roll into balls, make sure they are size appropriate for your dog, and then roll in coconut flakes. You can chill them in the fridge or serve as is! Store the remainder in the fridge or freezer and you'll have cool treats on hand for warm days! TO MAKE COCONUT MINT BON BONS [not shown] for your bestie you can use a silicone baking mold or ice cube tray. Pour liquid coconut oil to partially fill the ice cube trays, again keeping in mind the size of your dog. If your dog hasn't ever had coconut oil before start with ¼ teaspoon for small dogs and 1 teaspoon for large dogs per day. Using your kitchen shears, or scissors, snip pieces of the mint leaves into the oil. and place in the fridge to solidify the oil. Once they oil goes back to solid form, pop one out of the ice cube tray and serve in their bowl. Not a surprise, Katie ate the coconut flakes first before eating her treat. She LOVES coconut! If you have any left you can sprinkle it on their food!